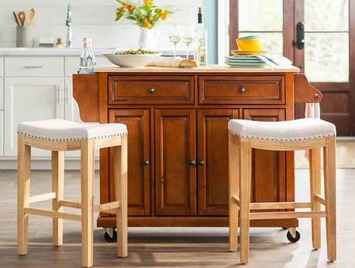 Bob Vila has teamed up with Wayfair to brings you the Bob Vila $2,000 Home Furnishing Giveaway where they will be giving you the chance to win $1,000 Wayfair gift card if you enter the Bob Vila Wayfair Giveaway every day until July 31, 2018. Visit this link:www.bobvila.com/contest/wayfair-giveaway to go to the giveaway page. When To Enter: The Bob Vila’s $2,000 Home Furnishing Giveaway entry begins at 2:00 p.m. (EST) Saturday, June 30, 2018 and ends at 11:59 a.m. (EST) Tuesday, July 31, 2018.